SuperSat 50 er en slank satellithøjttaler som kan monteres både vertikalt på væggen med SuperSwivel-beslaget eller på bord med TableStand samt gulv med SuperStand. Its powerful and dynamic output capabilities make it the ideal center channel for a Triton based theater system, as well as a perfect choice to go alongside a wall- or shelf-mounted flat screen. Of course, the 2.5” depth makes it a perfect on-wall match for the new generation of super thin flat screens. Its cabinet is constructed from piano-gloss-black-finished aerospace-grade aluminum and contains two GoldenEar 4.5” cast basket bass/midrange drivers with Multi-Vaned Phase Plug (MVPP) configured in a D’Appolito array, surrounding the High-Velocity Folded Ribbon tweeter. Two 4”x 7” quadratic planar low-frequency radiators complete the driver complement. Wall mounting is easily accomplished using the threaded inserts or keyhole mounts on the rear, or table top using the optional smoked-glass Table/Shelf Stand 50, or even floor standing using the optional SuperStand Floor Stand - note total height of speaker and floor stand is 48". The horizontal SuperSat 50C center-channel version includes adjustable leveling feet allowing for multiple angles when shelf/table top mounting. Every GoldenEar SuperSat satellite speaker model takes advantage of the extraordinary GoldenEar High‐Velocity Folded Ribbon (HVFR™) design tweeter. The HVFR tweeter propagates sound waves and moves the air by squeezing it with its accordion‐like pleated diaphragm, rather than pushing it as conventional drivers do. The result is better impedance matching to the air in the room with greater control, smoother more extended response with lower distortion and dramatically improved dynamic range. 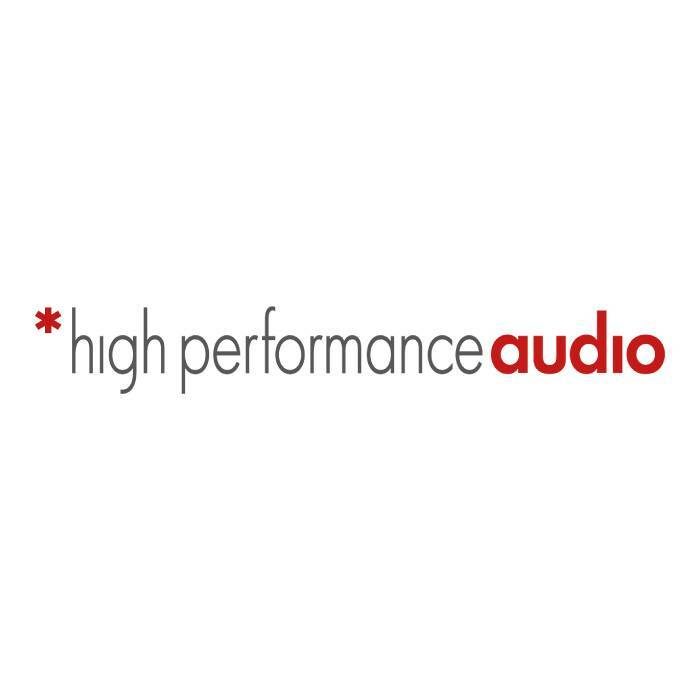 Each SuperSat speaker model also utilizes GoldenEar’s ground‐breaking 4.5" cast-basket upper bass/midrange drivers, which incorporate our proprietary Multi-Vaned Phase Plug design (MVPP™) as well as our proprietary computer optimized cone topology, arranged in a D’Appolito array surrounding the HVFR tweeter.